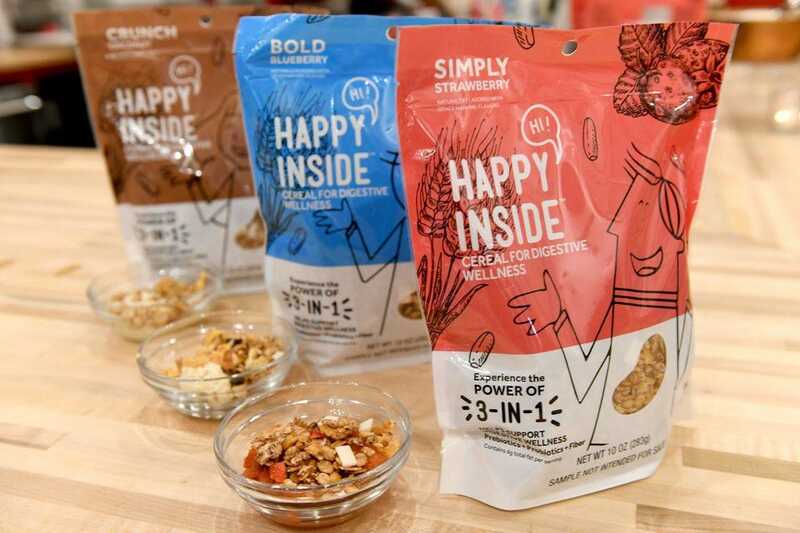 Through a focus on functional foods, added probiotics and new technology, packaged breakfast is moving way beyond the cereal aisle and past the yogurt case. 2019 is poised to be a year of incredible innovation as both small start-ups and the behemoths compete for the changing tastes and habits of American breakfast eaters. The rise and evolution of wellness-focused diets such as paleo, Keto and variations thereof are forcing food producers to cater their products towards consumers looking for their food to work harder in their favor. According to Food Business News, almost half of newly introduced food and beverages launched globally in 2017 made a better for you claim. Whole Foods, Food Business News and Kroger, Co. have all listed gut-healthy foods as one of their top trends for 2019, citing the various lifestyle diets that consumers are adopting in pursuit of improved health and wellness.“More consumers are purchasing better-for-you products and subscribing to different eating styles, from vegetarian to flexitarian to keto and paleo,” Kroger said. At the same time, traditional breakfast foods are falling out of favor with time strapped, health conscious consumers looking for something that fits their lifestyle better than a bowl of cereal or plate of scrambled eggs. Many producers are working hard to meet the need of these ‘deskfast’ eaters, while others are engineering functional foods to cater to specialty diets. Emerging advancements in health and food technology are setting the stage for a breakfast revolution in the coming year. Dr. Abigail Koppes, PhD, assistant professor of chemical engineering, biology and biomedical engineering at Northeastern University, is cautiously excited for the emerging trend in probiotic-added foods. Her studies focus on the communication between the human gut and brain, and how gut health can affect overall mental health and well-being. “This relationship between the gut and the brain is going to become more important as we learn more about it, it’s still sort of the Wild West;” she says, “There’s been more and more engineering techniques and microbiology techniques to help understand what type of bacteria are even there [in our gut] in the first place. In the last few years that’s enabled people to start even thinking about these things, like how can we make functional foods.” Over 50% of people suffering from Irritable Bowel Syndrome have some sort of co-morbid depression or anxiety, and recent studies continue to build strong evidence of a direct connection between certain gut bacteria and mental health. Studies have even demonstrated that probiotic strain lactobacillus, commonly found in yogurt and other fermented foods, plays a role in regulating emotional behavior in animals. With emerging science to bolster health claims for functional probiotic foods, we are poised to see many iterations hit shelves over the coming year. Kellogg’s made it early to market with their line of Happy Inside pre- and probiotic added cereals, while we continue to see traditionally probiotic rich foods, such as yogurt, focusing on the health benefits of these bugs. Danone is creating plant based yogurts with probiotics to meet the needs of specialty diets. While engineered technologies have created shelf-stable strains of commonly beneficial probiotics, it’s important to note that with bacteria, a one size fits all approach may not be the best way to go about it. According to Dr. Koppes, “what probiotic or what diet works for one person very likely won’t work for someone else. So, you need to figure out what works for you. I say, if you feel good there’s no need to add this additional thing. You’d probably be better off eating the rainbow, as they say: leafy greens, fermented foods, a lot of fiber.” However, more probiotics added into a healthy diet cannot be a bad thing. And for the (gut)health-minded consumer, they will become increasingly easy to find in the breakfast aisle and beyond.